Central Alberta’s cooler, wet summer so far has made some people grumpy, but glassblowers at Red Deer College are finding it refreshing. “When it’s really hot it’s quite hard to concentrate. The furnace runs 24-hours a day at 1,100 Celcius. You never turn off the furnace. 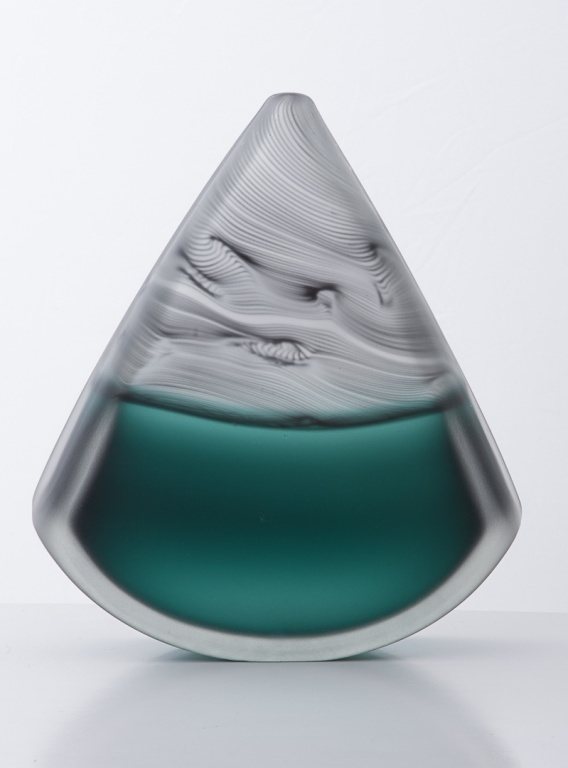 It’s full of liquid glass,” said glassblower Katie Brown, of Whanganui New Zealand, who has been teaching at the college’s Series Summer School of the Arts. The outdoor glassblowing studio at the college, only used during the summer, allows students to get some fresh air while they blow glass bubbles and turn them into plates, cups and bowls. Brown, 35, has been a glassblower for 14 years and has taught at the series for three years. She said glassblowing is a frustrating medium. And it can break at any moment, said Brown as she filed down the bottom of a vase on Friday during her final workshop of the season. Glassblowing is also very addictive because there’s always something new to learn, she said. “You spend your life trying different techniques to add colour and layering it on. You never get bored. “It’s like another language and you’re learning how to read it.” Next year Brown wants to run more free public demonstrations to introduce more people to the art and weekend workshops in addition to the one and five-day workshops. Fifty people attended a glassblowing demonstration during the series. Brown made a platter using a special Italian technique, worth $1,100, and it was auctioned off for $350 for the college’s 2012 Series Student Scholarships. 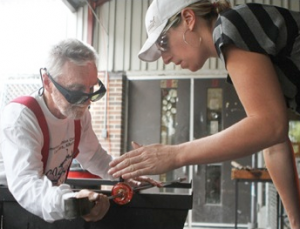 Glassblowing at the college series attracts people from near and far.